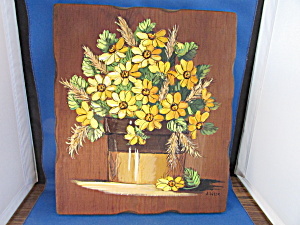 Such a great acrylic painting of daisies that look 3 dimensional. Painting is 12" X 11" and is signed J. Weir. In excellent condition.